I discovered Casco Art Institute working for the Commons by chance at a workshop in London. 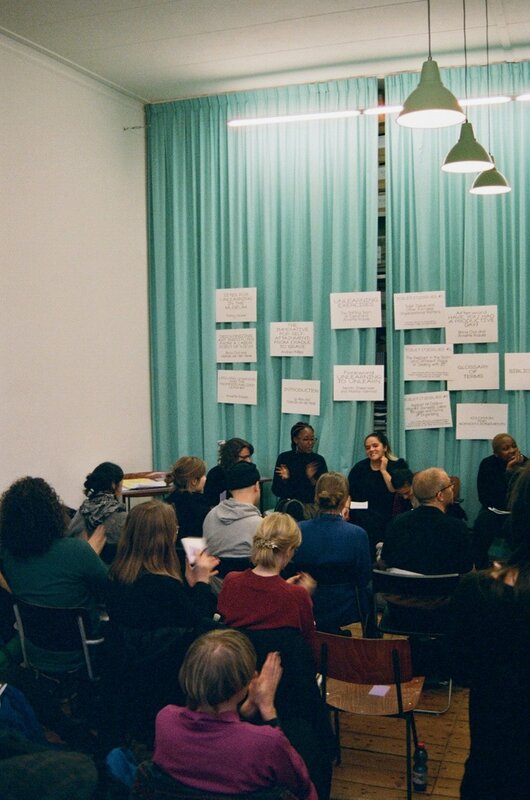 Within days I had arrived in Utrecht at their first Assembly gathering of around 50 International Artists and Organisers, for the launch of Book ‘Unlearning Exercises’, Art Organisations as sites for Unlearning. We were asked in the invitation to bring a financial contribution of 5c to over 1.000, as well as a non-financial recourse, which would collectively become a ‘Community pot’. Immediately the values of this gathering were opening new possibilities at the point of access for who can participate. As a student this was a blessing, being made to feel ‘welcome at the table’ regardless of financial status. Over two days, we talked, work shopped and witnessed ‘Book Situations’, a performative collective reading in variety of locations in the City, including a canal tour which traced Holland’s Colonial past through the waterways. The time came to address and distribute the Community Pot of financial and non financial resources. It was suggested to take the creative approach of a ‘Tea Reading’, whereby the contents of the jar were spilled over the floor. Philosophies and abstractions were announced over the ensuing shape and relation of money to paper writings. It was a beautiful way to take time in assessing the value we had at your fingertips, allowing all voices to be given space in this poetic nonlinear way of decision making. The outcome was to create a digital space where the non-financial offerings could be facilitated and continue the Assembly’s collaborations into he next year.